PLR is just like anything else in your business that you use – it is a tool, but in order to make it a tool you’ve actually got to use PLR in your business. Sometimes I’ll buy PLR and then it’ll sit on my hard drive. If you’re like me, now is the time to dust it off and start making use of all those wonderful assets. If you’ve ever considered starting a podcast then you can use PLR to help you get your channel up and filled with podcast episodes. Brainstorm ideas of topics you’d like to include in your podcast for 4 to 10 weeks. In this process you’ll also need to know how long you want your podcast episodes to be. 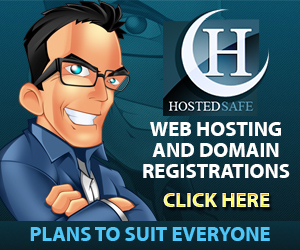 Then start gathering PLR that you can use. This can be PLR you own or need to purchase. Read all of the articles you picked for one of the topics and write down the main points you’d like to talk about. While you’re doing this process if you think of a story you’d like to share, a resource you’ve heard about or anything else – make a note and put it in your talking points. This way you don’t forget. When you’re done recording you can distribute your episode on platforms such as iTunes or Stitcher. Take blog posts and use them to post on your Facebook pages and groups. This can help keep your audience engaged. There are tons of different ways that you can use the content inside your social media platforms. Post informational articles on topics, how to, step by step, tips, hacks and reviews of products. You can even take an eCourse and post the content daily for the entire series. Not only that you, but you can add resources, additional information about the topic and even recommend products that will help them accomplish the series. This is very similar to the podcasting idea, but instead of only talking and then creating an audio. You’re going to create your talking points for the webinar. Take those talking points you’ve brainstormed and create Powerpoint Slides for visuals in your webinar. Once you’ve created your slides and practiced a few times – you’re ready to present to your audience. Using PLR in your business is a skill and takes practice. 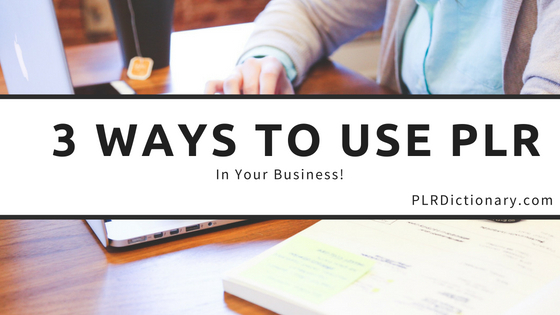 Pick one of the ways above to use PLR in your business and start today. P.S. If you’d like to find high-quality PLR content at affordable prices – go to my store at Niche Starter Packs.